Fresh and out of the box thinking gives the kite industry a push in new directions with new opportunities. So we are proud to have been able to test a completely new French twintip invention; Inobo. It comes with a transparant plastic –polycarbonate– deck. But what is even more interesting is the ability to exchange a complete part of this deck. This is how the Inobo twintip can be transformed in a different type of board. Very clever work. The looks from the polycarbonate version are completely outstanding. Be ready for that talk on the beach. Because people will come up to you and ask about it. The chat -however- will not be just full of praise. 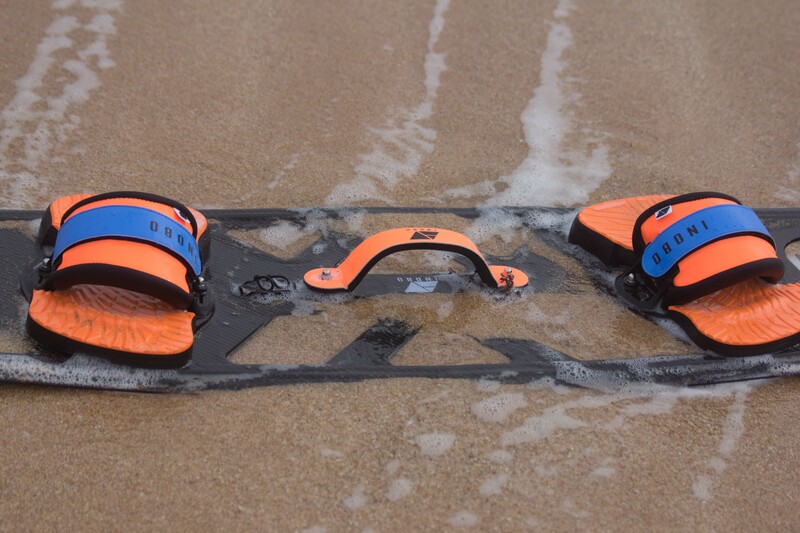 The Inobo kiteboard is not the cheapest nor the lightest one out there. But the ride is extremely comfy on the polycarbonate deck. For a more aggressive mode other decks are needed. The name Inobo is coming from the Greek Goddess of the sea Ino in contraction with bo from board. More important is the idea and intention behind Inobo. And that involves mainly one: Innovation. Like most concept cars it looks totally different from the standards we know. Fresh and French. 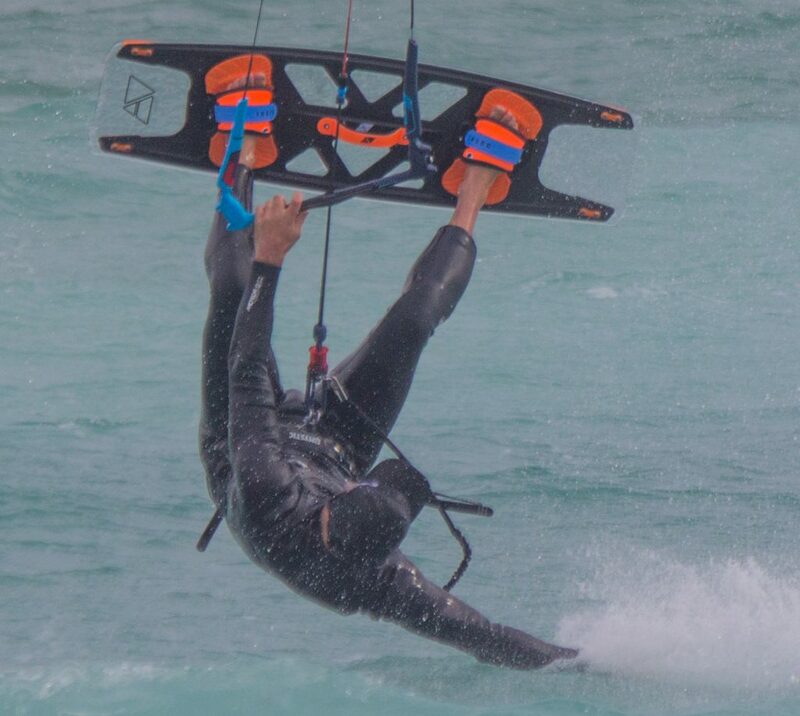 Striking is the fact a lot of inventions in the kite scene like the WEZR, a standard kite Attitude bar and the kitecleat are all from French innovators. Bien fait! But innovations or revolutions always comes with its portion of refinements over time to become a succes. Sometimes it is about money (the Attitude bar is still only 279,- euro). Sometimes it is very niche, like the kitecleat. What to think about the Inobo? It has two pillars. 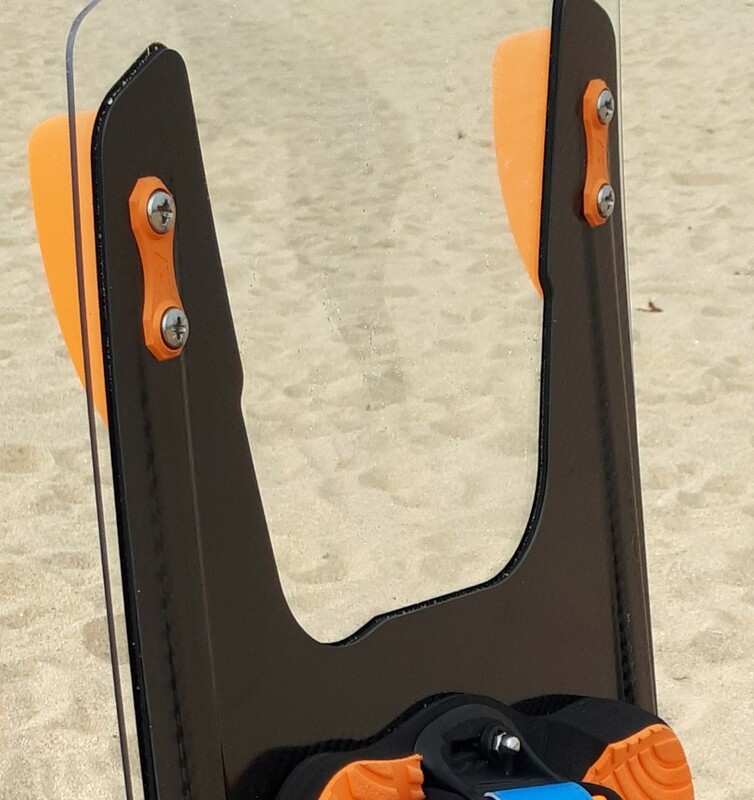 One is the ability to change the board so it can be used at another level or circumstance -using either polycarbonate, wood and carbon- (check the video). This could be handy when you are just starting and don’t want to buy a completely new board when your level grows. Or when you share the board with some one. Or even when the (water)circumstances are asking for a different board. The other pillar has to do with design. The looks -mostly with the polycarbonate deck- and the story behind it gives it a special touch. The Inobo twintip isn’t the first one that uses see-trough materials. But the Inobo concept leans more on the interchangeable decks. 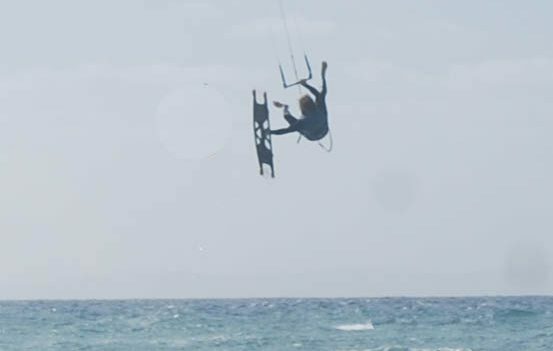 Antonin, one of the founders of Inobo, not to be mistaken with his namesake and insane pro-kiter Antonin Rangin, didn’t just copy ideas when he was working at a ‘normal’ major twintip factory. It is new, fresh and different. We have seen tools (some sort of handle) years ago that stiffens or bends a twintip at an instance which didn’t make it. But the Inobo story feels different. In theory in the future it shouldn’t be too difficult to add more, lighter and more specific decks. The orange pads and straps feel wonderful and fits like a glove to anybody. Together with the Naish Apex one of the best we know. Fitting boots on the Inobo Stratos board (with polycarbonate) isn’t meant to be. Left aside if the structure can hold the local forces it physically isn’t possible to attach them; the screws come up from the bottom of the board. What isn’t possible either is to widen or narrow down the stance between the pads more than a centimeter. One -more important- feature what is missing is the lack of any channels or concave. The next step for the future of Inobo is probably to carve them in some sort of a way in the polycarbonate while avoiding any weight gain. Riding the Inobo Stratos which we used felt surprisingly normal. 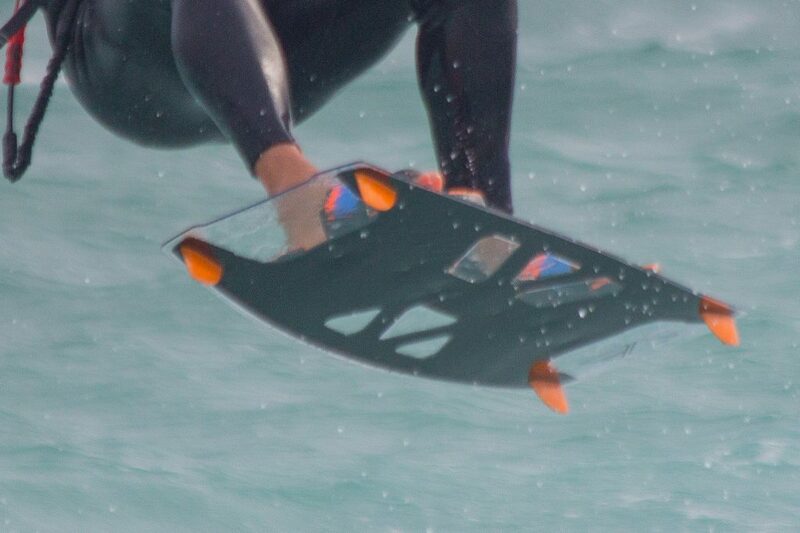 Soft and and easy and definitely affected by its structure does label it a true freeride board. It slides wonderful through flat to mid wave water. A novice kiter – typically with the kite a bit higher and less power on the edge- will be a perfect match. Edging full power in choppy conditions on the Stratos will makes you understand why channels have been invented. It won’t give as much feed back as a true multi-channeled freestyle board. Its top speeds is quite impressive and won’t be a set back. A hard flat landing will let you know with a typical double clack that the board has two layers. Something to get used to. Still the Stratos can be used for anything from powered tricks to old school board-offs and its comfortable landings will be very much awarded. Big jumps aren’t too difficult -although the 4.6 kg’s weight is at least half a kilo more than other boards- but the board prefers to keep things mellow. Aside from its looks and ability to change it to a different board, comfort is its major selling point. We cannot wait to test the wood and full carbon version. North PIQ vs Woo sports, jump height and air time (part 1).